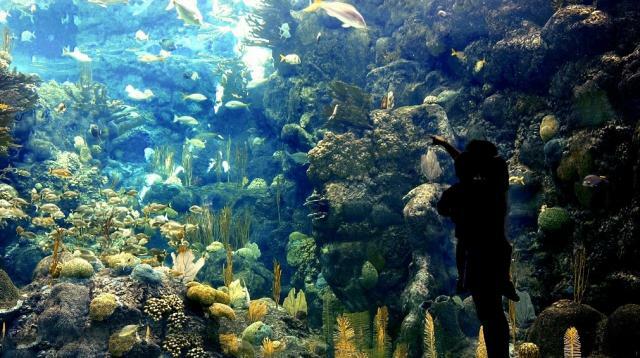 Good morning Tampa Bay, Alex here… Who out there loves sea life, the aquarium and underwater shows? If so, you should make sure to check out the famous mermaids of Weeki Wachee Springs State Park perform at the Florida Aquarium this May. These wonderful ladies known for their grace and beauty will be performing at The Florida Aquarium for 8 shows, May 22, 23, 29 and 30. The Mermaids perform each day at 11 a.m. and 2 p.m. inside the Coral Reef Exhibit. The shows are about 15 minutes long and there is limited capacity in the Coral Reef Gallery. 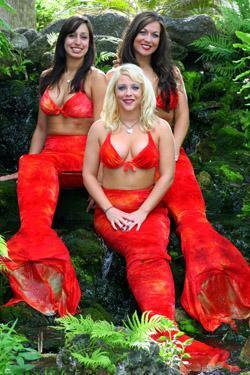 Although these famous mermaids are new to the city of Tampa, they have been performing in Florida for quite some time. They have been putting on shows in an underwater theater since Oct.12,1947 at The Weeki Wachee Springs State Park. The mermaids are known for performing synchronized ballet moves 20 feet underwater while breathing through special air hoses hidden in the scenery. Make sure to make it out to the Florida Aquarium on May 22, 23, 29 or 30 to see these beautiful mermaids perform in Tampa’s very own Coral Reef exhibit. This Coral Reef is a replica of Sherwood Forest, an actual reef off the Dry Tortugas, contains 500,000 gallons of &apos;natural&apos; salt water and over 100 species of fish including moray eels, grouper, tarpon, barracuda, angel fish and a green sea. This is a great event for the family, so don’t forget to bring your little mermaids. Check back often for more information on events happening in and around Ybor city.